India’s buildings are silent power guzzlers. Residential and commercial structures consumed nearly a third (32 percent) of the country’s total electricity in 2016, according to the latest annual energy statistics published by the Ministry of Statistics, Planning and Implementation. 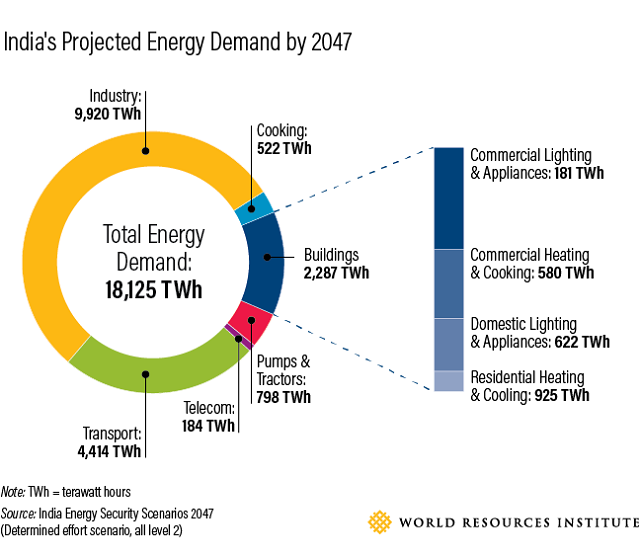 And as Indian cities grow, building energy demand is sure to surge. The government’s policy agency, Niti Aayog, estimates that energy demand from India’s buildings will increase by more than 800 percent in 2047 compared to 2012. Under the current standards, the country will face higher energy costs and skyrocketing consumption for decades. At the same time, air pollution will worsen, adding to the impact of climate change. That’s why India needs better building efficiency policies and programs now. India took an important step forward in June by launching the revised Energy Conservation Building Code (ECBC) 2017. Developed by Ministry of Power and Bureau of Energy Efficiency, the code prescribes energy performance standards for new commercial buildings to reduce energy consumption and promote low-carbon growth. It sets parameters for builders, designers and architects to integrate renewable energy sources in building design, with a goal of achieving a 50 percent reduction in energy use by 2030. It’s an important initiative. Buildings that meet requirements of the ECBC are between 17 and 42 percent more efficient than conventional buildings, offering enormous potential for energy savings. A parallel effort on a code for new residential construction is also underway. For maximum effectiveness, the new code must be made mandatory and built into municipalities’ bylaws. But there’s an obstacle: the code must first be adopted by the states, and then implemented by local bodies – an immensely slow process. As that effort moves forward, here are several strategies that could help urban leaders and decision-makers in India’s energy sector improve energy use in buildings. Under the existing 2007 Energy Conservation Building Code, India’s state governments and municipalities were responsible for adopting, mandating and enforcing the rules. This has had limited success. As the new code is phased in, it must be made an integral part of building design and construction, just as fire safety and structural standards are. The government needs to incorporate efficiency considerations in construction and procurement guidelines and establish benchmarks for building energy use. And to do that, it will need data. Transparent, accurate, reliable and accessible electricity use data for buildings is a basic requirement for creating baselines. Once standards are created, governments can implement mandatory or voluntary energy-use disclosure programs, and offer tax incentives to encourage energy savings. Too often, builders, buyers and investors in India lack adequate access to information on energy performance data and certification. Developers don’t always know that energy performance-certified buildings enjoy higher property values and faster leasing, often at a premium, according to a report by the Natural Resources Defense Council. Similarly, buyers don’t hear about benefits like easier maintenance, lower energy costs and better ventilation and insulation in hot climates. Certifying and labeling buildings based on their energy use would build trust in tenants and buyers, and stimulate the market for efficient buildings. Technology upgrades are also needed. India currently lacks testing, standardization and certification for efficient building materials, which discourages innovation and advances. What constitutes efficiency at different scales of construction also needs a re-look. Strong efficiency mandates for new buildings can create markets for jobs, materials and expertise. But several impediments currently exist, which can be remedied by targeted action. The first is that building energy use data is not collected systematically. Without it, benchmarks for energy performance are weak. To help build investor confidence in energy-efficient projects, industry and government need to take the lead on assembling data and establishing reliable electricity-use baselines for different building types. In addition, lax enforcement of buildings codes, combined with low demand for energy-efficient building technology, has dampened India’s market for products like insulation, wall materials, fenestration and shading devices. Strengthening enforcement can boost demand for these products. At present, no more than 30 energy service companies exist to help implement energy efficiency projects, and access to financing is a major challenge for them. Creating lending priorities and financing instruments that encourage energy-efficient construction can address this problem. Energy-efficient building requires skilled craftspeople, but most companies have little incentive to train such workers. A comprehensive assessment by the Bureau of Energy Efficiency or an independent organization could identify where new jobs can be created, or where government agencies could create programs to improve building skills. Building efficiency has been recognized as critical to India’s climate change mitigation strategy and global climate commitments. 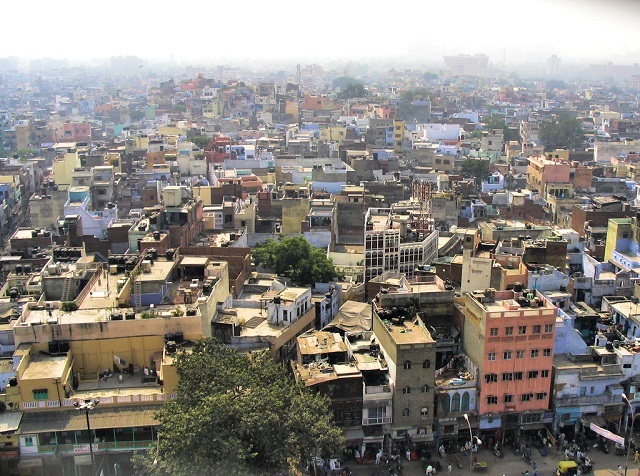 By focusing on the opportunities at hand, India can significantly transform the building efficiency landscape and meet its emissions reduction goals. Sumedha Malaviya is a Senior Project Associate with the WRI India’s Energy Program. Bharath Jairaj is a Senior Associate at WRI India and works with the Energy Program and the Governance Center.